Lace up your sneakers and lederhosen and join us for the 3rd Annual Fry Street Oktoberfest 100% for charity 5k and costume contest! This year's race will be benefiting three local non-profit organizations, Friends of the Family Denton County, Big Brothers, Big Sisters of Denton County, and G.O.A.L. 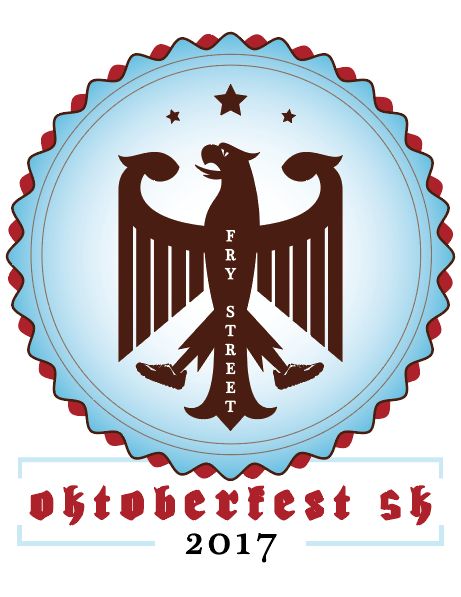 Event Entry - Noon - Price includes event bag, t-shirt, and limited edition Fry Street Oktoberfest stein. Event Entry - 11am - Price includes event bag, t-shirt, and special stein. Can't make it to the event day of but still want to particiapte and help raise money for charity? We are including a virtual run option for $20! Meaning you can run or walk whenever and wherever you want. All registrants will receive a finisher's medal and race shirt. 11:00am - Race winners and costume contest winners announced! Registration is now closed for this race. Day-of registration will start at 8:30am for the 5K, Oktoberfest VIP - 11am, Oktoberfest General Admission - Noon.